The Certified Information Systems Auditor (CISA) training will give you the requisite skillsets to govern and control enterprise IT and perform an effective security audit on any organization. You’ll gain expertise in the acquisition, development, testing, and implementation of information systems and learn the guidelines, standards and best practices of protecting them. CISA is one of the hottest areas in information security, with a need for six million IT security professionals by 2020. Simplilearn’s CISA course is aligned to ISACA and ensures that you ace the exam in your first attempt. Most jobs in this field either require or prefer that candidates have a CISA certification. The CISA training course will enhance your understanding of IS audit processes and also help you understand how to protect information systems. What skills will you learn from this CISA course? Be able to identify and assess vulnerabilities and report on compliance and institutional controls. Gain a better understanding of IS audit and assurance guidelines, standards, and best practices. Learn how to govern and control enterprise IT environments. Understand the acquisition, development, testing, and implementation of information systems. Develop working knowledge of the five domains of CISA, as prescribed by ISACA. Acquire the relevant knowledge and skills required to pass the CISA certification exam by ISACA. 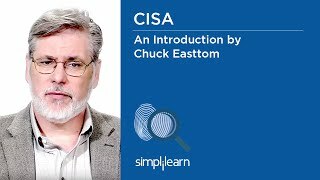 Who should take this CISA course? What types of jobs are ideal for CISA trained professionals? Why should I enroll in this CISA training course? CISA has become one of the most sought-after certification programs in the world due to a growing demand for professionals possessing information systems audit, control, and security skills. CISA certification will give you these critical skills and provide with a competitive edge over your peers in the field of information security. This course will also help you prepare for the CISA certification exam. 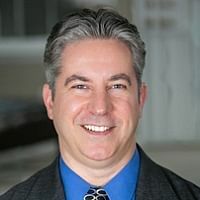 How will I become a CISA certified professional? *Exam Pass Guarantee: Except for India, Indian Subcontinent, and Africa. Simplilearn offers Exam Pass Guarantee to our students who complete our course training. We offer a voucher (free of charge) to the students to retake the exam in case they fail ISACA CISA final exam. What are the prerequisites for a CISA certification? Get all the experience you’ve listed verified by your employers. The experience should have been gained within the 10-year period preceding the date of application, or within five years of passing the examination. Is this CISA course accredited? No, this CISA course is not officially accredited. How long does it take to complete the CISA course? If you take the self-paced online training course, it will take about 40 hours to complete the course. For live virtual courses, it will take 32 hours to complete the course. How many attempts do I have to pass the CISA exam? You have a maximum of three attempts to pass the CISA certification exam. Simplilearn provides guidance and support for learners to help them pass the exam. How long is the CISA certification from Simplilearn valid for? The CISA course certification from Simplilearn has lifelong validity. If I fail the CISA exam, how soon can I retake it? You can re-attempt it immediately, but you have a maximum of three total attempts. I have passed the CISA examination. When and how will I receive my certificate? Upon successful completion of the course and passing the exam, you will receive the certificate through our Learning Management System, which you can download or share via email or Linkedin. Do you offer a money-back guarantee for the training course? Good content. Really appreciate the structured course methodology. I attended this course with an expectation of understanding the basics and complete information about CISA exam and certification. The training was delivered with high level of professionalism, the trainer explained complex logic easily. Overall this training was great and met my expectations. Very good training on CISA. It was really helpful in understanding the basic concepts of infrastructure and IT operations. Training course provided gives a very good understanding on five domains of CISA certification. It is going to prove a very handy and good reading material for self-study for exam preparation. Overall structure of training was good and it has achieved its intended objectives. Good Knowledge of trainer. Very cooperative on course speed and repeated explanations. Content arrangement is very good. The faculty displayed thorough knowledge on the subject. CISA overall training was good. The training course covered all the required topics. Classroom training helped me to understand the key concepts and interactions with a highly qualified trainer too was greatly helpful. An excellent way of delivering the CISA content. I find it really helpful. The trainer had very good subject knowledge and made the session very friendly and interactive. The 3 days training session was very much useful for the exam and the trainer was too good. Headset and microphone which can be used to talk and hear clearly. How many questions are there in the CISA certification exam? ISACA uses and reports scores on a common scale from 200 to 800. For example, the scaled score of 800 represents a perfect score with all questions answered correctly; a scaled score of 200 is the lowest score possible and signifies that only a small number of questions were answered correctly. You need to achieve a score of 450 or higher to pass the CISA® Exam. What is the CISA certification cost? The CISA Certification cost varies between $450 - $760 based on the mode of registration and if you are a registered member or not. After successful completion of the training, you will be awarded the course completion certificate along with the 30 CPE certificate from Simplilearn. What is the date of the next CISA exam? If you are unable to take the exam, you can request a deferral of your registration fees to the next exam date. To learn more about deferring your exam, including deferral deadlines and costs, please visit www.isaca.org/examdefer . Our CISA course is developed to deliver a first attempt pass rate of 100%. With a hands-on learning approach, the training not only gives you the confidence to clear the exam but also helps you retain the knowledge beyond the examination. Is this live CISA training or will I watch pre-recorded videos?